You probably hadn't even heard of Spotify even as recently as two months ago. Today, however, it's the biggest thing in music since Luciano Pavarotti. 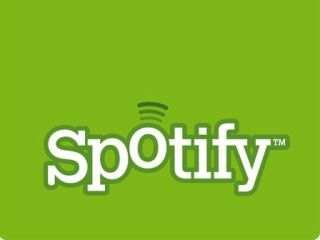 In an age when the majority of people are used to getting music for free, Spotify has introduced a way for us to get our free music, while the artists and labels still get paid. Everybody's happy! If you're on Spotify already, you just need to click the link below in order to add our Friday playlist to your sidebar. If you're not on Spotify yet, go to Spotify.com to sign up for free. Once you're done, search for songs and drag them onto the playlist - easy!